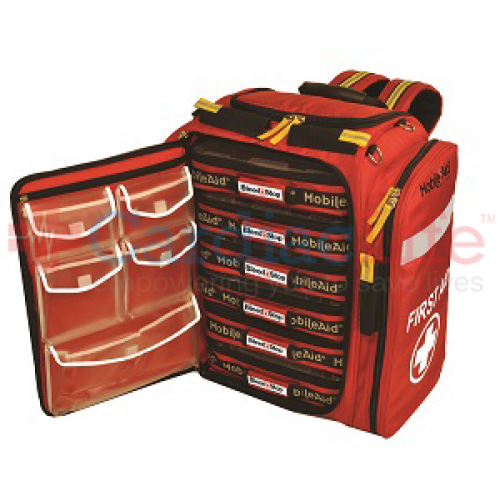 Bleedstop XL 100 Mass-Casualty Bleeding Wound Trauma First Aid Backpack treats 12 bleeding wounds. 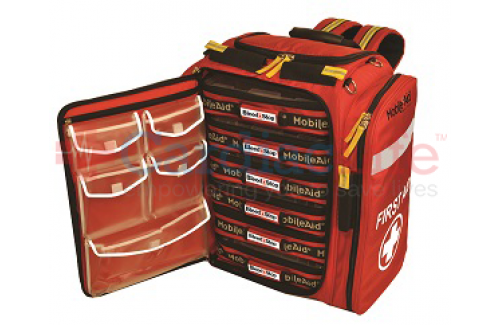 This backpack allows you to respond immediately to mass-casualty gunshot and other bleeding wounds. 2 Self-adherent wrap 2" x 5 yd.